On July 3, 1966, Tony Cloninger became the first National League player — and, as of today, the only pitcher — to hit two grand slams in one game. A power pitcher, Cloninger compiled a career 113–97 record with 1,120 strikeouts and a 4.07 ERA in 1,767 2⁄3 innings pitched. 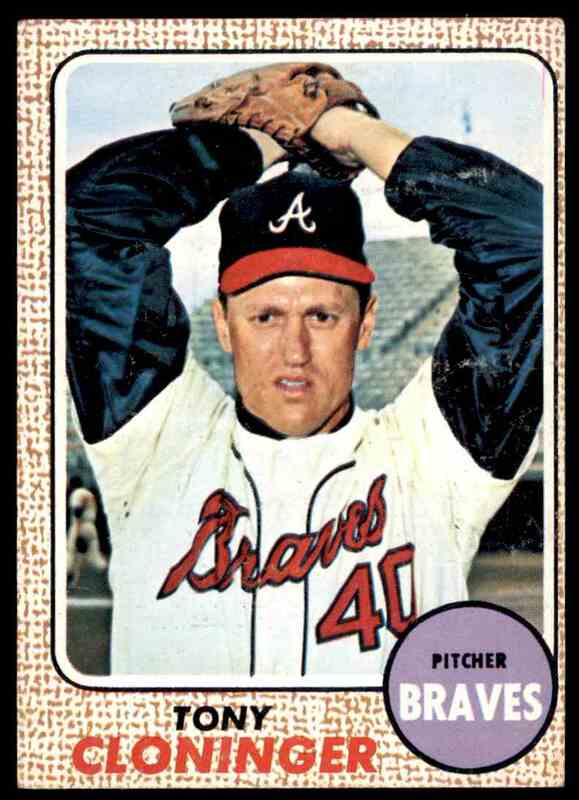 He enjoyed his best year for the 1965 Braves, with career highs in wins (24), strikeouts (211), ERA (3.29), complete games (16), innings (279) and games started (40). Regarded as a tough fireball pitcher, Cloninger also was a dangerous power hitter. He compiled a career batting average of .192, with 67 RBIs and 11 home runs, including five in the 1966 season. On July 3, 1966, in the Braves’ 17–3 win over the Giants at Candlestick Park in San Francisco, Cloninger helped his team’s cause with two grand slams and nine RBIs; as of 2018, this stands as the Braves’ franchise record for RBI in a game. Cloninger became the first player in the National League, and the only pitcher to date, to hit two grand slams in the same game. Cloninger used a bat of teammate Denis Menke to hit both of these big home runs. Cloninger finished his career pitching with Cincinnati and St. Louis. After retiring, Cloninger served as a bullpen coach for the New York Yankees (1992–2001), where he was a member of five American League champions and four World Series champion teams, and pitching coach for the Boston Red Sox (2002 through early 2003). He was forced to step down from the latter post when he underwent successful treatment for bladder cancer, which had been diagnosed in spring training. In 2004, Cloninger became a player development consultant for the Red Sox, serving for almost 15 consecutive seasons until his death.